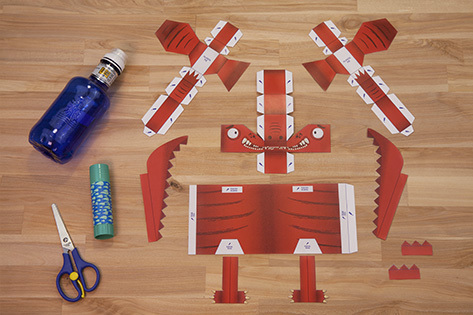 The tyrannosaurus rex was one of the scariest dinosaurs… and today we’re bringing it to life using a 33 cl Solán de Cabras bottle, some scissors and glue. 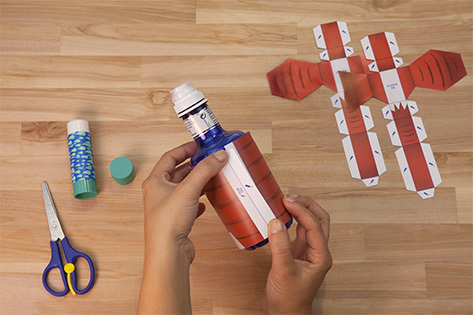 First of all, glue the body around the bottle by putting glue in the marked places. 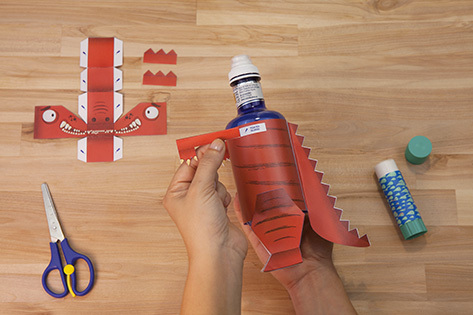 Fold each of the back legs and then attach them to the body. 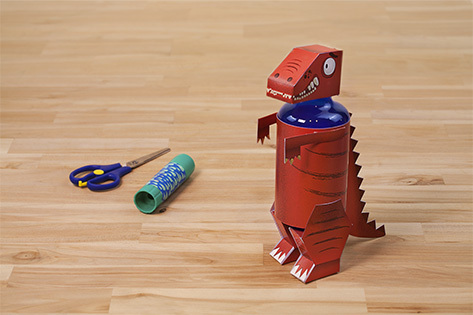 Glue the front legs to either side of the dinosaur’s body and then stick the tail to the back. 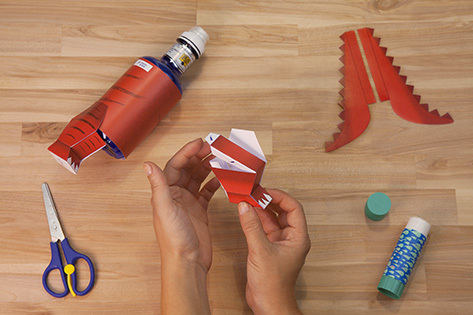 Fold and glue the head, and then attach the crest to the back. 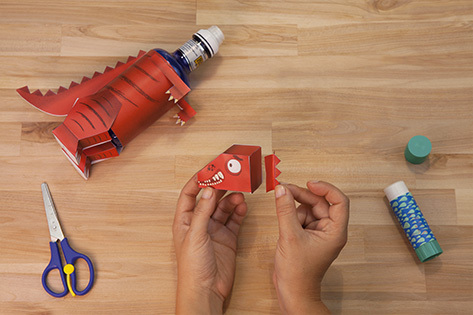 To complete the t-rex, place the head on the bottle top.